- Vince Russo has a new article on WhatCulture.com where he reveals some interesting things you didn&apos;t know about him. In it, he claims that actor Ben Stiller once smoked marijuana at Raw with Road Dogg and Sean "X-Pac" Waltman. Click here to read the piece in its entirety. - On Sunday morning we noted the direction WWE was looking to go with Brock Lesnar was him challenging for the WWE World Heavyweight Championship at SummerSlam. Out of the list of possible opponents (Roman Reigns, Cesaro, John Cena, Bray Wyatt, Alberto Del Rio, Randy Orton and Sheamus), we&apos;re told Cena is the leading candidate. If WWE goes in the direction they&apos;re examining, it&apos;s almost an inevitability that Lesnar will go over to capitalize off the rub from ending Undertaker&apos;s streak. In theory, this would give Lesnar a run as WWE World Heavyweight Champion until at least Wrestlemania 31 next year. For those wondering about Lesnar holding the title as a part-time worker, we&apos;re told there would be enough appearances on his contract for him to appear on TV as much as every other week from the week after SummerSlam to Wrestlemania. Vince McMahon would like to bring The Rock in to work Brock [for the title] at Wrestlemania. - CM Punk&apos;s contract with WWE is in its final weeks. We&apos;re told Vince McMahon has made contact with him and still wants him back with the company. Most consider it a long-shot and as one observer leveled with me, it could go nowhere as Punk is intent on staying retired. - Daniel Bryan is still experiencing weakness in his arm and is out indefinitely. I noted before my vacation that WWE was preparing to be without him until SummerSlam and it looks to be at least that long as of press time. - The decision was made to forgo Seth Rollins vs. Dean Ambrose in a gimmick match at Money in the Bank and insert Rollins into the traditional Money in the Bank ladder match last week. A singles bout with Ambrose could be delayed until SummerSlam. - TMZcaught up with JTG and Shad Gaspard on Saturday in Venice. JTG, who was part of WWE&apos;s recent mass cuts, said they&apos;re using the name Crime Time on the independent scene because they aren&apos;t getting sued. He said he&apos;s not bummed about his WWE release and had been preparing for it after being home for a while. You can watch the exchange at this link. - Chuck Carroll interviewed Cesaro on the CBS affiliate out of Washington, D.C. In it, they talked about Daniel Bryan&apos;s injury and extended absence from the company. “One person’s bad luck is another person’s opportunity. And I have that opportunity at Money in the Bank when I’m going to go for the WWE World Heavyweight Championship,” Cesaro said. - CM Punk resurfaced in a video with Roddy Piper to wish Dicky Barrett of The Mighty Mighty Bosstones a happy birthday at Saturday&apos;s concert at City Hall Plaza in Boston, MA. The event received a lot of mainstream attention with talk-show host Jimmy Kimmelattending. - Bret Hart is scheduled for the July 7, 2014 WWE Monday Night Raw taping in Montreal, Quebec, Canada. - Kevin Steen announced at Ring of Honor&apos;s "Best in the World 2014" on Sunday that he has another 45 days left on his ROH contract. As we&apos;ve previously reported, he&apos;s headed to WWE NXT and there&apos;s actually be talk about including him as a cast member on the upcoming season of Tough Enough. - Darren Young, who continues to rehab a torn knee ligament, is featured in a new video telling his pets about his recovery. You can watch at this link. - Bo Dallas is featured in a new Q&A in the July 2014 issue of WWE Magazine. Below is an excerpt"
What do you like to listen to for fun or in the gym or sing along to in the car? Inspirational music that empowers me to get things done. Stuff like R. Kelly, oh and definitely Journey, "Don&apos;t Stop Believing." Did you have any particular role models when you were younger to lead you down that path? "Hacksaw" Jim Duggan with his American spirit and pride. What do you remember about your first match? For my first match, my family came to see me. When I walked through the curtain, I saw all these people and soaked it all in and realized that this was actually happening. That was a very special moment for me. The July 2014 issue of WWE Magazine is available on newsstands everywhere. You can subscribe online at this link. "Fortunately there are no fractures. However, he has a pretty significant left ankle sprain, as well as a sprain of one of the ligaments of the knee," said Amann. "We put him in a boot, he’s on crutches, and we expect him to be back in three to four weeks." WWE has more at this link. 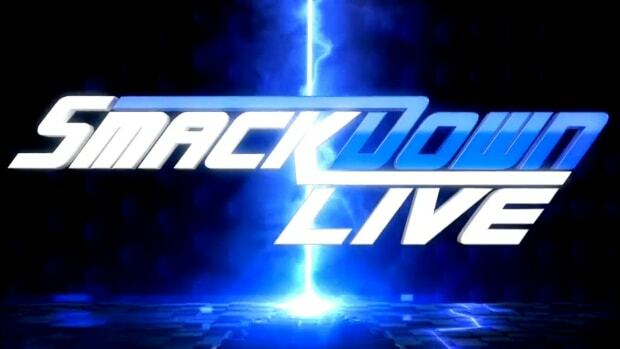 - Last week&apos;s episode of WWE Smackdown did an average viewing audience of 2,762,000 viewers on SyFy. You can check out data for all of Friday here by TV by the Numbers. Beginning this Tuesday (6/24) at 9PM PDT, WWE2K14 services will be offline for an intensive scheduled maintenance. We fully intend on bringing these services back online this coming Friday (6/27) by 4PM PDT. During this period you will not be able to access any of the online functionality of WWE2K14 and we apologize for any inconvenience this may cause. Any and all updates will be made to this thread, so please stay tuned! Thanks! - Speaking of Barrett, Episode 2 of his World Cup Breakdown series has been uploaded to YouTube, available at this link. Additionally, NXT Superstars and trainers give their thoughts on the 2014 World Cup in the latest NXT Video Blog, available at this link. - Summer Rae vs. Layla with Fandango as the special guest referee was added to the WWE Money in the Bank card at this week&apos;s Smackdown taping. On the Money in the Bank Championship ladder match: "With this story, we&apos;re trying to climb. I&apos;ve obviously worked with ladders and sticks and all the different toys. But climbing the ladder and being 10 feet in the air, that&apos;s a whole different story. And like I said, I&apos;m not a top rope guy, but at the same time you can take advantage of the ladder, use it in your advantage, but when it comes down to it you have to climb. It&apos;s going to be interesting, I&apos;m prepared, I just don&apos;t care. If you&apos;ve ever looked at my Twitter, you&apos;ve seen my back. Pain, who cares." Should RAW and Smackdown be split again: "It worked before didn&apos;t it? And I think with that dynamic too it adds to the storylines and the competition and things like that. And I think there a whole PPV called Bragging Rights just based on that concept, so I think it works. If they&apos;re going to do it, who knows?" On Daniel Bryan&apos;s Recovery: "I&apos;ve heard through the grapevine and the boys and stuff that he&apos;s doing better. He&apos;s at home and I guess obviously Brie&apos;s helping him out a good bit which is really cool on her behalf to put her career on the side to make sure her husbands fine. I wish him the most comfortable and speedy recovery." - A strange video of Brad Maddox in a cave is circulating the Internet. I have no idea if this is part of some sort of angle if he really needed help. The video was published on Tuesday. You can watch it at this link. - Bad News Barrett&apos;s promo on the Washington Redskins from Raw received mainstream media attention on the USA Today&apos;s "For the Win" blog. For those that missed it, Barrett brilliantly called the team the "racist, constantly losing" Redskins. I&apos;m afraid that&apos;s not very bad news for this Cowboys fan. Click here for more. - Wrestling News World reader Steve Friend sent word that John Cena vs. Kane in a street fight and Sheamus vs. Bray Wyatt for the United States Championship are being advertised for WWE&apos;s upcoming tour of Australia. - Donald Wood and the Ring Rust Radio crew interviewed Rob Van Dam. You can listen to the interview at this link. - As I mentioned here on WrestlingNewsWorld.com, no one in WWE believes AJ Lee is pregnant and as far as the company stands, she isn&apos;t. As one source put it, CM Punk and AJ Lee are "two of the most aloof, distant, and loner people you could be around" and the notion they would be going around telling random people about a supposed pregnancy is hard to believe. - AJ Lee remains in great standing with Vince McMahon. Vince is high up on her and is also friendly with CM Punk. We&apos;re told Triple H and Stephanie McMahon are also fine with AJ but want to move on from Punk. - Paige is not held in high regard by McMahon. According to a source, he doesn&apos;t like her promo style and has pulled a number of pre-tapes that were scheduled to air. Triple H has a favorable opinion of her but even his interest has cooled recently. - A push for Rosa Mendes is not out of the question in the next few months. She&apos;s been given extra live event bookings so the company can get a better look at her before a possible push on TV. As noted, Rosa will be joining the Total Divas cast for Season 3. - Aksana was released from WWE because she fell out of favor with company management. The feeling was there were many Divas in NXT that were better and could easily replace her. - There&apos;s more doom and gloom in regards to Emma. Sources claim she&apos;s rarely discussed and her future seems "questionable" at best. - In general, the Divas are having a difficult time impressing Vince because he compares them all to AJ Lee and The Bella Twins. Those three are Vince&apos;s personal favorites on-screen and in real life as well. As a result, it&apos;s made it harder for other Divas to stand out. - Josh Mathews has apparently been released from WWE. While we do not have 100% confirmation, his profile has been moved to the Alumni section and there is a plan for Renee Young to replace him on upcoming broadcast assignments. - Vickie Guerrero finished up with WWE on this week&apos;s episode of Monday Night Raw. As we reported here on WrestlingNewsWorld.com, she&apos;ll look to move on to a career in medical administration and will graduate soon with her Associate&apos;s Degree. In a new letter published Wednesday on dot com, Vickie bids farewell to her co-workers in a very classy fashion. Her funniest mention was to Adam "Edge" Copeland, who she thanked for believing in her when she didn&apos;t know "what the hell" she was doing. You can read the letter at this link. You can watch a video of Vickie saying goodbye backstage at this link. Richard Reacts: It&apos;s been a privilege to cover the career of Vickie Guerrero. Like she mentioned in her letter, she went from "Eddie&apos;s wife" to her own identity. I believe she is one of the greatest talkers in the history of the wrestling business and she further proved that with her babyface turn to conclude her run on Raw. Thank you for the memories, Vickie. We will miss you. - This week&apos;s sit-down interview between Triple H and Michael Cole is now online. The interview addresses Vickie Guerrero&apos;sWWE departure, adding Kane to the WWE World Heavyweight Championship Ladder Match at Money in the Bank and whether Triple H worried about becoming Dean Ambrose&apos;s "enemy for life." All of course complete in-character. - Have you ever wondered what happened to Mike Adamle? Dot com checks in with a "Where Are They Now?" piece at this link. And for those wondering, he would welcome the opportunity to come back. - Numerous readers have sent us the link to a SummerSlam promotional poster that features John Cena and Brock Lesnar. The poster stems from Amazon&apos;s listing for the pay-per-view&apos;s Blu-Ray disc, which is available for pre-order and will be released a month after the show takes place, on September 16, 2014. - As expected, Renee Young will replace Josh Mathews on the WWE Money in the Bank expert panel on Sunday. She&apos;ll host Christian, Booker T and Alex Riley. They&apos;ll do the Kickoff prior to the pay-per-view and check in throughout the event with analysis. - The latest video blog from Brandi Rhodes is now online at this link. - WWE has updated their key performance indicators with the preliminary buyrate for Extreme Rules 2014. The show did a preliminary buyrate of 107,000 buys. Out of those buys, 40,000 were domestic and 67,000 were international. Not really. I mean, everyone knows the score by this point even if it&apos;s your first time. Usually everyone backstage is just crossing their fingers, praying, saying their Hail Mary&apos;s, or whatever they have to do hoping nobody gets hurt. Pretty much everybody&apos;s eyes are glued to the screen. Lot of "Oohs" and "Aahs," but more "I hope he&apos;s okay" and worrying and relief when it&apos;s over and everyone comes out okay. "Whew, that&apos;s a great question. There&apos;s three guys who have big superstars written on them. I think Bray Wyatt is one of them, Cesaro is one of them, but when I got to mention the guy your asking for is Roman Reigns. He happens to be related to The Rock. Good looking kid, damn good worker in the ring, I want to know some more about his promos. But man, if I got to look at the roster right now and say whose my next megastar, his name is Roman Reigns. "They always have rumors... he should be coming to WWE - and the bite can be his finisher! To be honest I don&apos;t think we need him in Madrid. I know he&apos;s a fantastic player, but we don&apos;t need somebody as crazy as Luis Suárez." Click here to read the piece in its entirety. - WWE NXT referee Dan Engler, formerly known as Rudy Charles in TNA Wrestling, is headed to the main roster. Thursday night was believed to be his final NXT date prior to a call up. - SLAM! Wrestling has part 2 of their interview with Michael Hayes now online. Click here to read it. - WWE United States Champ Sheamus vs. Bray Wyatt and Kane vs. Roman Reigns are the top advertised matches for this week&apos;s Smackdown. Dot com&apos;s preview is available at this link and taping results are available here. Make plans to join our Smackdown "Open Thread" at 7:30 PM EDT on Friday night right here at WrestlingNewsWorld.com. - If you&apos;ve heard the original plan for SummerSlam was for Daniel Bryan to defend the WWE World Heavyweight Championship against Brock Lesnar, you&apos;ve heard wrong. As we reported here on WrestlingNewsWorld.com, the original plan was for Bryan to defend the belt against Bray Wyatt. With WWE still not knowing when Bryan will be back, there has been consideration for Lesnar vs. Cena, just as we have reported on numerous occasions. However, that doesn&apos;t mean that Cena is guaranteed to walk out as the sole winner at Money in the Bank on Sunday. Directly off the heels of my Ask WNW argument that WWE can&apos;t split the titles, there&apos;s talk of having Cena grab one title and Wyatt grab the other. This leading into another unification bout at WWE Battleground in Tampa next month. While Vince McMahon is receiving a lot of criticism for constantly changing his mind about pretty much everything, Daniel Bryan&apos;s questionable status makes it hard to carve out a plan in the first place. His week to week reversals on things are taking a toll on everyone in creative and were the main source of Jay Gibson&apos;s frustrations. (Gibson was recently let go amidst the recent line of cuts.) Since WWE found out Bryan was unavailable for Money in the Bank on Sunday, Vince has had ideas for Roman Reigns to win the title, then Wyatt, then Cena, then Wyatt and Cena. By Sunday it could be back to Reigns. One source described it as "madness." Lesnar vs. Cesaro is still in the cards at some point this year, just not as soon as talked about before Bryan&apos;s injury. As for Reigns vs. Triple H at SummerSlam, that could still happen. Although Hunter may decide not to wrestle on the show and Reigns vs. Randy Orton is the backup plan if that&apos;s the case. - TNA Wrestling officially announced on Monday the 6-sided ring will return at the upcoming Impact tapings in New York City (June 25-27). The company held a fan vote, with the 6-sided ring beating out the traditional 4-sided ring. TNA officially announced that fans voted for the ring&apos;s return despite criticism from talent. - Dixie Carter and The Great Muta announced in a joint press conference in New York City on Wednesday that Bound for Glory 2014 will take place at Korakuen Hall in Tokyo, Japan on Sunday, October 12, 2014. 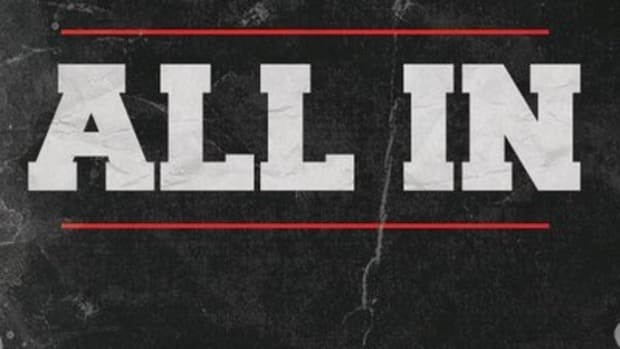 Expect a heavy TNA Wrestling vs. WRESTLE-1 tie-in as the promotions will work together for the show. - TNA Wrestling published a new article here on ImpactWrestling.com about Bound for Glory 2014 taking place in Tokyo, Japan. The announcement was made on Wednesday at a press conference in New York City. - This week&apos;s episode of Impact Wrestling did an average viewing audience of 1,136,000 viewers on Spike TV. TV by the Numbers has data for the entire day available at this link. I have been waiting for AJ Lee&apos;s WWE return but have been hearing rumors all over that she is pregnant. Are these rumors true and if not, when is she planned to make her return? I was under the impression that AJ Lee would be back to WWE television some time this summer before SummerSlam in August. I&apos;ve been told throughout her hiatus she remains in good standing with WWE and has remained in constant communication. With both Emma and Paige coming off to the office as "disappointments," it&apos;s only raised the stock of AJ Lee. As for the pregnancy rumor, one of the last texts I received before going on vacation last week was that AJ was possibly pregnant but that my source "wasn&apos;t touching it." Apparently while I was gone someone got on ReddIt and decided to inform the world. I have no idea if it&apos;s true or not and the only reason it would even be remotely relevant to any of us would be a possible delay in AJ Lee&apos;s WWE return. If she is indeed pregnant, it could be quite some time before she works for WWE again. How would it work if Brock Lesnar won the WWE World Heavyweight Championship at SummerSlam? Would it even be possible for him to hold the title until Wrestlemania 31? Our top story on Sunday was that WWE was looking to have Brock Lesnar challenge for the WWE World Heavyweight Championship at SummerSlam. We later followed up by explaining how a possible Lesnar title reign would be handled. You can read our article at this link. In short, it would be possible but would also be done in a tactful way that worked around his part-time contract. What are your thoughts on Bobby Lashley winning the TNA Championship? TNA had a golden opportunity to reset with Magnus as champion. His reign was horrible and cut short in favor of Eric Young. Unlike many pundits, I was optimistic about Young&apos;s reign because I think he&apos;s one of the most talented guys in the business. Not only can EY work but he&apos;s got a great look and the ability to get over on the mic. TNA wanted to tie his reign in with his new Animal Planet series. Now, it&apos;s been reset again with Lashley. No disrespect to Bobby but this just shows me that TNA never learns. They had two guys they could have branded as "their guys" but have instead found another WWE retread to push as champion. Who are the members of Adam Rose&apos;s entourage? Do they cast in every city they visit? Adam Rose&apos;s entourage is a mixture of people. Local call-ins have been used as have staff members and NXT trainers. It all depends on where they are as to who gets used as a Rosebud. March 2013: Who has a better chance of going over at Wrestlemania 29 – Brock Lesnar or CM Punk? - Pretty much everyone I speak with feels Undertaker is going 21-0 while Triple H vs. Brock Lesnar is more up in the air. I personally feel that both Lesnar and Punk go under and that Triple H avenges his loss from SummerSlam while Undertaker upholds the streak. My preference is for Punk to end the streak although I can see valid arguments from both sides on Hunter vs. Lesnar. Many readers are interpreting my personal preference of Punk “ending the streak” to think I’m saying it’s likely to happen or even being talked about. This is unfounded as I feel Undertaker goes over and that he’s returning to do just that. However, I do think WWE has a unique opportunity and if there is ever going to be a payoff to the streak, this is the year. The traditional Money in the Bank ladder match seems lackluster. Outside of Bad News Barrett, none of the participants have a favorable 2014 win/loss record. Assuming Seth Rollins/Dean Ambrose take each other out, is Barrett the only logical choice to win? I definitely see why you believe the Money in the Bank ladder match is lackluster as the participants were thrown together with no build. I captured a notable quote from backstage in my notes posted at this link. The MITB ladder match hinges on spectacular in-ring work, not on the storylines that precede it. Considering the match will include spectacular MITB workers such as Kofi Kingston, Dolph Ziggler, RVD, Seth Rollins, etc, you should be pleasantly surprised. If I&apos;m booking, I&apos;m putting Seth Rollins over all day long. I know they&apos;ll have to blowoff Rollins/Ambrose before he "cashes in," but it would only help in his elevation as a singles performer. We know that CM Punk&apos;s contract is up in July but what is the contract status of guys like Christian and Alberto Del Rio? CM Punk is in the final weeks of his WWE Performer&apos;s Contract. We updated on his status here on WrestlingNewsWorld.com. Neither Christian nor Alberto Del Rio appear to be in WWE&apos;s long-term plans, something that has been known for quite some time. The concern with Christian is in regards to his health, while Del Rio was always believed to have a short-lived run in WWE. Del Rio is a guy that came in very successful and wanted to prove himself at the top level. He hasn&apos;t gone out of his way to generate strong ties in the locker room and his best friend (Drew McIntyre) was recently fired. So to answer your question, it&apos;s a reasonable assumption to expect WWE to be without Punk, Del Rio and Christian some time next year. Was it just me that popped for Vickie Guerrero on this week&apos;s Monday Night Raw? It wasn&apos;t just you as I had a very positive reaction to Vickie Guerrero&apos;s curtain call performance on this week&apos;s Raw. Vickie is very talented and further proved her mic skills are on par with the best talkers in the business. I&apos;ll miss her contributions but understand that she is looking forward to life after the business and commend her for that vision. As reported here on WrestlingNewsWorld.com, Vickie plans to pursue a career in medical administration. What do you think of Cody Rhodes and his new gimmick as Stardust? Stardust helps keep Cody Rhodes relevant at the midcard level. The Rhodes Brothers tag team was losing steam and Cody looked to be headed back to irrelevance. Cody&apos;s work has been great and hopefully his successful run as Stardust will result in him getting a chance at more. I truly believe Rhodes is more than a midcard talent but he just needs an opportunity. Rhodes&apos; ability to get Stardust over proves his degree of talent. January 2012: What are your thoughts on Evan Bourne getting suspended for the second time? - Evan Bourne’s 60-day suspension from WWE for his second violation of the company Wellness Policy is very unfortunate and has the potential to de-rail his promising career. One of the quickest ways for a worker to lose their fan base is to fail a Wellness test. I’ve found that very passionate wrestling fans have zero tolerance for guys with Wellness problems; however, as we’ve seen with Jeff and Matt Hardy, they can be very forgiving as well. The main thing Bourne needs to do right now is get his life straight and realize he’s literally got one more chance before his dreams are crushed. Bourne is a guy that has defied the odds because of his size and made WWE push him because of how over he was. However, he’s in very bad standing right now with two Wellness strikes and backstage heat to boot. Is it quite obvious that John Cena wins the WWE World Heavyweight Championship ladder match at Money in the Bank? John Cena is the clear favorite to win the WWE World Heavyweight Championship ladder match at Money in the Bank for a number of reasons. For one, WWE is known to lean on Cena when they need him the most. With the injury to Daniel Bryan, Batista off and Brock Lesnar&apos;s dates protected, I expect them to lean on the true face of the company. Further, we know there have been creative meetings about Cena vs. Lesnar for the title at SummerSlam as we detailed on Wednesday. However, the outcome is obvious and WWE has been known to swerve away from the obvious as they proved with Seth Rollins being the one that turned on The Shield. Are there any updates on any further WWE roster cuts? As I reported last week, the releases are continuing as WWE aims to show investors they are committed to cutting costs. While it&apos;s more an illusion than anything else, I expect the cuts to continue to help restore investor confidence following their underwhelming TV licensing agreement with NBCUniversal. I can&apos;t name names at this point but expect releases to continue. Josh Mathews is the latest cut as he was deemed expendable with the emergence of Renee Young. After watching Kurt Angle introduce Team 3D, I couldn&apos;t help but wonder what the TNA originals think about the first three inductees to their Hall of Fame. Yes, Sting gave them credibility, Angle gave them a franchise player and Team 3D raised the tag team division, but what about Samoa Joe, AJ Styles, Daniels or even Team Canada&apos;s Scott D&apos;Amore!? You would think they would show some sort of gratitude to the originals. What about Jeff Jarrett? It&apos;s too early the way it is for a TNA Hall of Fame but it will continue to have no credibility until Jeff Jarrett is inducted. If it weren&apos;t for him, there would be no TNA Wrestling. AJ Styles told me directly that he wouldn&apos;t accept an induction until Jarrett is inducted. The TNA Hall of Fame is like many things the company does, completely backwards. I mean no disrespect to any of the five names and agree with your observations. However, to assert any of those guys are more important to the company&apos;s foundation than Jarrett is absurd. I believe my sentiment is shared throughout the locker room as a lot -- if not all -- of the TNA originals know they wouldn&apos;t be there had it not been for Jeff sticking his neck out there for them. In an earlier installment of Ask WNW, you stated the plan was to do The Rock vs. Brock Lesnar at Wrestlemania 31 next year. Is that still the plan? The Rock vs. Brock Lesnar is a bout WWE wants to do but obviously relies on the ability to get Rock to commit and a path being made for WWE&apos;s new "money card" in Lesnar. I know The Rock wants a match against Lesnar if he comes back but we&apos;ll get a better idea closer to the end of the year. For now, WWE will lay the framework to prominently feature Brock at SummerSlam. September 2012: Did you know that some bookmakers actually take bets on WWE PPV matches? Did you know this and have go ever considered making money on the outcomes of matches? - I’m aware that people do place bets on pro wrestling matches, however, whenever I get an email from a reader looking to do it I always urge them to reconsider. Some of my friends in the business do place bets, however, I won’t do it because of the rate things change. If you’re looking to “get in on the action” in terms of sports betting, stick to the sports where the outcomes are not predetermined.